Having visited various alps of Switzerland, I have not actually trod on much flat ground. But the glorious regions of Lake Geneva, Vaud and Fribourg are certainly a very pretty place to start, and I was intrigued by the Freddie Mercury fan base, just as much as the HR Giger Museum. Combining city living with quaint villages and nature, you get the best of both worlds, and even have the opportunity to mingle with cows (and do some milking if the urge takes you). If you time your visit right, you might even catch a cow fancy dress, or parade! Needless to say, cows are everywhere, and there is nothing more charming than the sound of Swiss cowbells. In a whistlestop tour, you can visit a different town every night of the week, and soak up an entirely different experience around the province. With numerous quaint suburbs surrounding the impressive lake, there is something for everyone in the Lake Geneva and Fribourg Regions. HR Giger, the designer of the original alien from 1978’s groundbreaking movie, Alien, was born in the sleepy village of Coire in 1940, but took advantage of his vivid imagination to create a highly unrealistic and often disturbing art pieces. The complicated, biomechanical creatures from the film can be viewed in detail, at the Giger Museum. Opened in 1998, it showcases nearly all of Giger’s science fiction influenced paintings, sculptures and furniture design, along with his personal collection of artworks by Coleman, Dado, E. Fuchs, Schwarz and Steve Leuba. This surreal stopping point is a complete contrast to the rest of the region. A stiff drink in the Giger-designed bar opposite the museum, is most welcome after witnessing this extreme artwork! However, the rest of Switzerland is much more conventional. The canton of Vaud, is the fourth largest canton of Switzerland and is home to many popular ski resorts including Les Diablerets and Château-d’Oex. Immersed in nature, with lakeside views, it is the ideal spot to base yourself for exploring the region. With the towns of Lausanne, Montreux, and Vevey close by, it is the perfect spot to start your break. 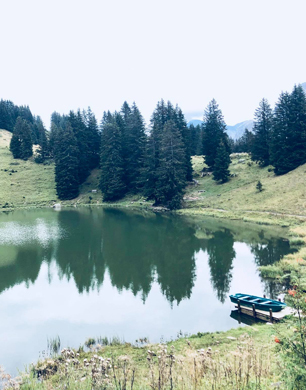 Whether you want to embark on a gentle hike, forage for wild berries with a guide, or enjoy a yoga session in the fresh air next to the Retaud lake in Les Diablerets, there is nowhere that you will visit that isn’t swamped with beautiful nature. The Swiss are also big on biking, and like to utilise the mountains all year round. If you haven’t worn lycra for a while, fear not! You can wear what you like on an e-bike and Saint-Saphorin is the ideal spot for beginners. Book a guide, and stun yourself with how nimble you are, as your assisted pedaling, whizzes you uphill with ease (with a little help from your battery powered machine). It is still a work out, but the views are worth it. Treat yourself to a boozy lunch afterwards at Clos de la République wine estate, the oldest winery in the region, now run by Patrick Fonjallaz. 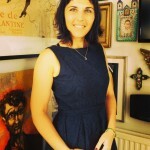 Be wowed with stories of Charlie Chaplin, and sample freshly cooked food on the terrace. I’m not strictly sure what the drink and drive rules are, but it’s probably best to do the cycle first! Good wine needs good music, so why not take the lead from Freddie and head to Montreux. He apparently fell in love with the city when he recorded the album ‘Jazz’ at the Montreux Jazz Festival in 1978. So it’s no wonder that the locals treat him like a King, and have a statue dedicated to him on the lakeside. The annual jazz festival still attracts visitors from all over the world and is an idyllic spot to enjoy al fresco music during the summer months. Affectionately known as the French Riviera, it has the feel of a classy European resort, with restaurants and boutiques lining the boulevard. But it’s piece de resistance is the altitude-busting, Coucou Restaurant and Hotel. Taking pride of place at 1’150 metres above sea level, it can be reached by the dramatic winding, GoldenPass MOB train. Head up at sunset, and enjoy stunning views, fondue and sundowners on the terrace, or stop for a lunch if you have had a hard days trekking. The restaurant first opened in 1959, and had a facelift 2017, where it was renovated with materials from centuries- old mountain farms. With a new lease of life as the Coucou, this traditional Swiss chalet prides itself on creating bio-cuisine with local products and is popular with locals for Sunday brunch who can’t get enough of the Alpine views. No visit to the region is complete without a visit to Lausanne. The fourth city of Switzerland and capital of Vaud, it is typically Swiss, but also embraces modernity. With a historic old town“La Cité”, the cobbled streets, traditional chocolate shops, picturesque tea rooms and impressive Gothic cathedral, it has lots of picture opportunities. But it is also home of the Olympic Museum & Park, and various galleries and theatres, so you will be sure to find lots of things to keep you entertained for a couple of days in this pretty city. And if you get the urge to samba, the “Le Lacustre” bar is the place to be, where you can dance the night away whilst sipping super strong cocktails with the locals. The Sunset Dinner Cruise on the Belle Époque Paddle Steam Boat should not be missed. Setting off at 6.30pm, there is nothing more delightful than enjoying a glass of something chilled whilst soaking up the sunset and panoramic views over the lake, and then enjoying first class service over dinner. Don’t worry if you feel like you have overindulged on the good stuff, the Vald region means you can enjoy the pound or two of cheese, and relinquish and guilt pangs in a round of golf or outdoor yoga. Even if you are a beginner, you can have a lesson with a pro at the Bonmont Golf Club. With an 18 hole course facing Lake Geneva and Mont-Blanc, and an outdoor swimming pool and spa, this is the perfect way to wind down after a hectic break. So if you’re a snow bunny, mountain goat, jazz fan or foodie, the cantons that surround the Geneva region have plenty to offer whatever time of year you fancy a visit.